I purchased a bottle of Cardamom during Christmas to make some amazing cookies and I fell in love with the amazing taste this spice has. I’ve seen great recipes to make cocoa almonds, cinnamon almonds, or even peanut butter almonds. But I thought to myself, what a great way to use this new favorite spice! As I had people taste testing this for me I learned something new about this spice. It tastes just like Fruity Pebbles cereal. At first I told my husband he was crazy, but then others tasted that too. On my next bag I realized he was right! So now I have a spice I could use to make Fruity Pebbles. 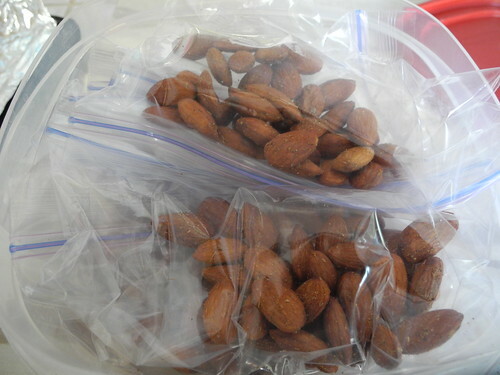 After toasting and cooling off my almonds I split them up into 12 snack size bags which makes almost 100 calorie packs! Have you heard the news though!? 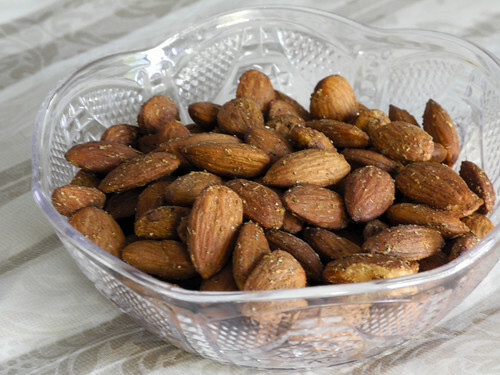 Almonds have been found to contain 20% calories than thought before. You can read about the study at the Greatist.